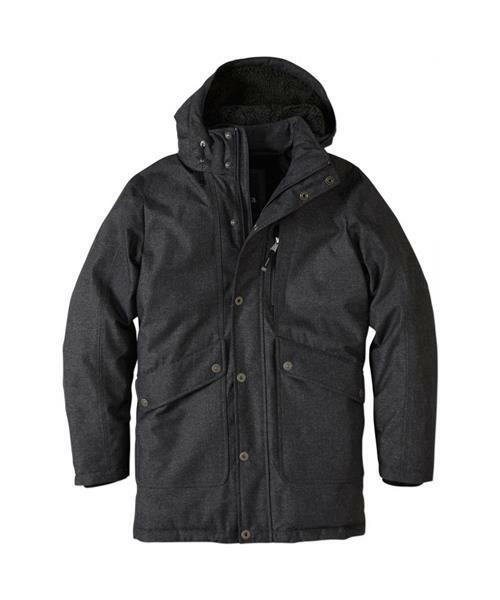 The prAna Merced Jacket is a technical treat. 650 fill power repurposed down provides mindful insulation, while a 10K/10K laminated shell keeps you dry. A sherpa lined hood is soft and warm, as is a ribbed cuff. An internal security pocket protects valuables and a snap front provides an extra weather barrier to a full zip. The hood and hem both have adjustable drawcords, and hood length can be adjusted as well.